In 2013, when I visited Nintendo’s Redmond HQ for a feature on the company’s Treehouse localization team, staffers there opined that secrecy was essential to their operations. Back then, Nintendo leaks were rare. We might have gotten morsels about unannounced hardware or occasionally seen a surprise ruined by an early trademark registration, but the folks at Big N were generally pretty good at keeping secrets. These days, however, Nintendo’s feeling kinda like BP. In the past few months we’ve seen an unprecedented amount of information spilled about the House o’ Mario, much of it coming from the unlikeliest of sources. Rumors correctly pointed to the existence of a new Paper Mario, the names and logos of two new Pokémon games, and almost everything that was revealed at yesterday’s Nintendo Direct. On top of that, a potentially massive recent leak may have told the world exactly what Nintendo’s marketing budgets for 2016 look like—sensitive information, to say the least. Let’s walk through a few of these recent rumors. Back in January, frequent Nintendo rumormonger Emily Rogers said on Twitter that she’d heard about an unannounced Wii U game from a popular franchise. 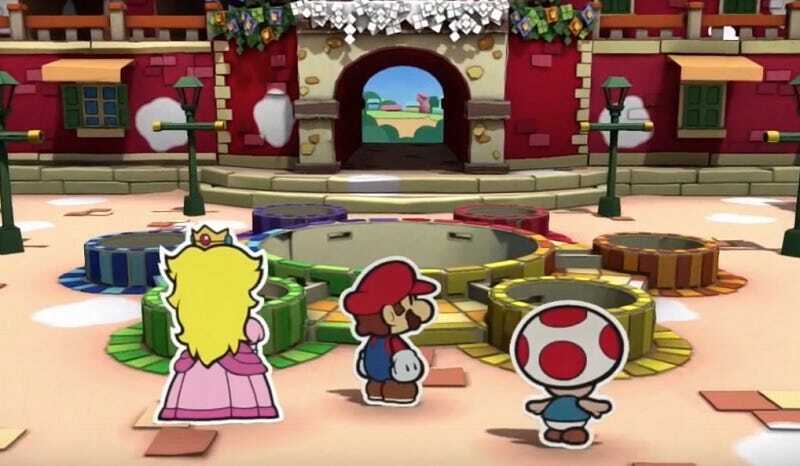 After some extended teasing, she revealed that it was a Paper Mario game, developed by Intelligent Systems and currently entering localization and testing. She was vindicated yesterday when Nintendo announced Paper Mario: Color Splash. Not long afterwards, Rogers and others—including an editor at Eurogamer—reported hearing that the elusive Mother 3 would be released in English this year, ten years after it first came out in Japan. Although this one hasn’t happened yet, it seems like a feasible June surprise. At E3 2015, Nintendo surprise-released the original Famicom game Mother as Earthbound Beginnings on Virtual Console; it wouldn’t be a shocker to see them do the same with Mother 3. A few weeks into February, the leaks started getting a lot more intense, thanks to a NeoGAF poster named Trevelyan9999, whose list of games coming this year for 3DS has proven to be accurate several times now. He successfully predicted the code-name for the next two Pokémon games as well as the existence of new Nintendo Selects. In his big list of 3DS games he also named Disney Art Academy, which was officially revealed yesterday during the Nintendo Direct. Trevelyan9999 also claimed that Nintendo’s next-gen console, code-named NX, will be out later this year and will come with a port of the Wii U Zelda game that’s planned for fall, so if you’re inclined to believe his list of rumors—which have all been true so far—you may want to get ready for some new hardware soon. That’s not all, though. Early trademarks in the past two weeks revealed both new Pokémon games as well as Monster Hunter Generations. Most remarkably, on Wednesday the Dutch website N1ntendo posted a list of files that they claimed were from last night’s Nintendo Direct, almost all of which turned out to be true. Typically, slanted photos of computer screens are a giant red flag, one of the biggest indications that a rumor is fake. Over the past decade, we’ve seen an endless trickle of pictures like this—usually featuring games from companies with super-passionate fans, like Nintendo or Sony—and they never turn out to be true. Except for this time. From the SNES games on New 3DS to the Fire Emblem characters in Monster Hunter, everything in that image mirrored yesterday’s Nintendo Direct in Europe, which is pretty much unprecedented. There have been other, far less credible rumors floating around as well, some of them raising a second red flag—if it sounds too good to be true, it is—but even putting that potential nonsense aside, in 2016, Nintendo’s leakier than it’s ever been. Strange times.